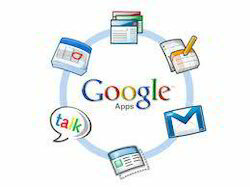 AlpineSoft IT Solutions Pvt Ltd is an authorized Google Apps Reseller. We provide support to all our customers in smooth installation of Google Apps and migration of their old emails to Google. Installation and configuration of Tally products to suit your business requirements. Transline Computers, Repair understands that your life stops when your computer stops. Let us help you get your life going full throttle by getting and keeping your computer healthy and optimized. Don’t have the time or the expertise to get your new WordPress site launched We’ve been working with WordPress since the beginning. Count on us to install your theme with the all the bells and whistles necessary to make it perform in the search engines. Don't know how to install that new component or setup some software, IOM can help install any new component to your system and install your software. Software Hardware installing is the most important part of the computer"
We provide our services of Supervisory Control and Data Acquisition (SCADA) Installation . Our various applied industries are manufacturing, production, power generation, fabrication and refining processes. Our SCADA software is comprised of consoles or panels. We can assist you in installing your PC, Printer, MP3 Player, Digital Camera and over 100 software applications, and customize its configuration to your specifications. View my comprehensive setup and install services. We Provide all software s/Hardware s with home delivery Facility. Every type of anty virus, MS office, Designing Softwares, Photo Editors, Printers, Modems and all.